Stack memory has to be allocated statically by the programmer. 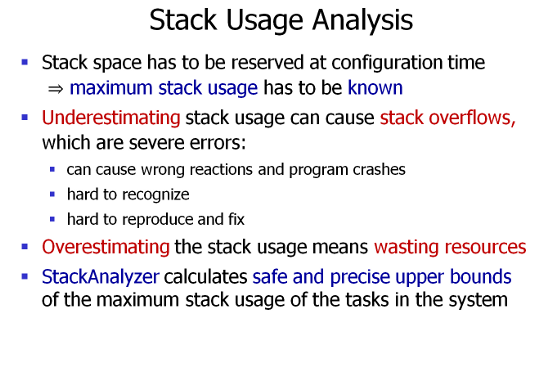 Underestimating stack usage can lead to serious runtime errors which can be difficult to find, while overestimating it in hopes of being “on the safe side” results in a waste of memory resources. 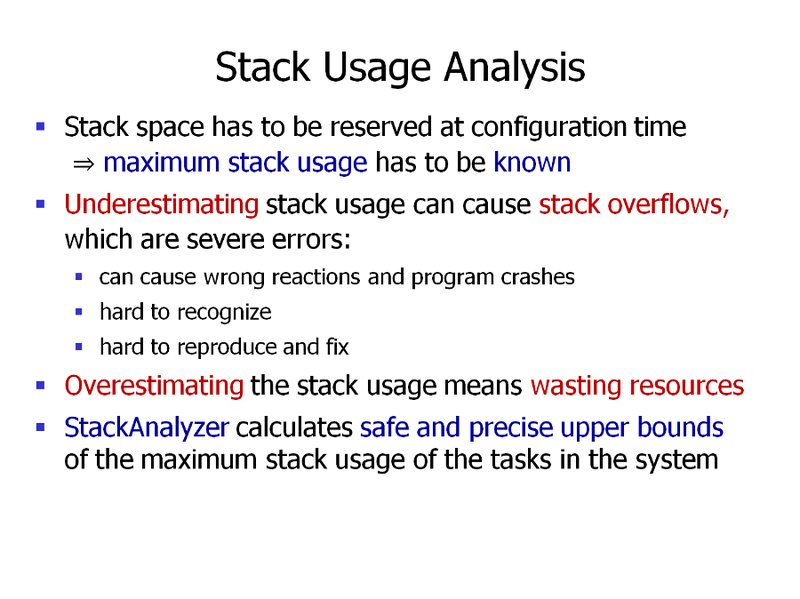 This is where StackAnalyzer comes in. It provides auto­matic tool support to precisely calculate the worst-case stack usage of your application. It directly analyzes binary executables, exactly as they are executed in the final system. The analysis results are valid for all inputs and each task execution.